Who’s going to CPCC’s GeekFest? Yeah, this is going to be awesome. 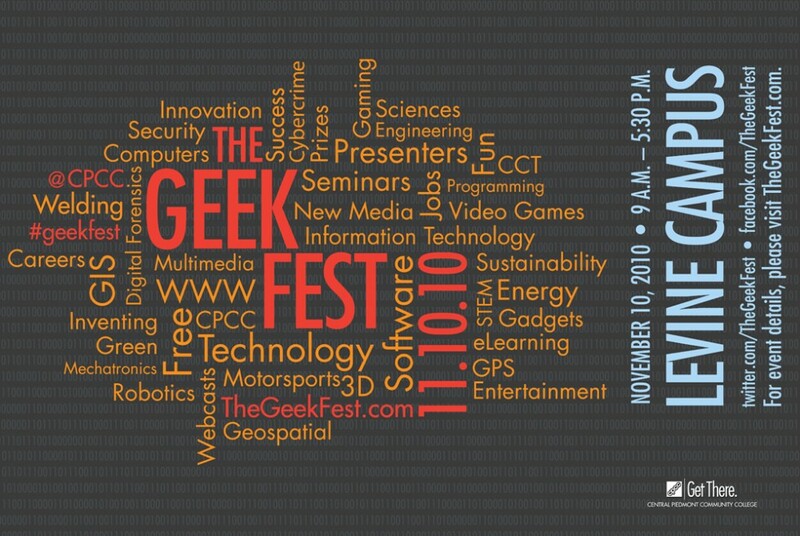 Follow @thegeekfest on Twitter, and find more info on their website. The event is today at CPCC’s Levine campus, which is just minutes from uptown. CLT Blog’s own Desiree Kane will be representing on the social media panel, and we’ll have a wrap-up after it’s over.